Optician has presented its Awards, Optrafair is over and Easter is upon us, that can only mean one thing -- the next Optician sporting charity challenge gets underway. The weather might still be debating whether it’s Winter or Spring but the sporting season has started (if it ever really finished) and this year a cycle and a triathlon are on the horizon. One of the trickier training elements of triathlon is the swim. I’m not a big fan of pools so that means outdoor swimming in the Brockwell lido or at the Surrey Hills Adventure Company lake near Reigate. Both are unheated which is great for acclimatising to cold water but, with the best will in the world, I don’t get a lot of distance in. 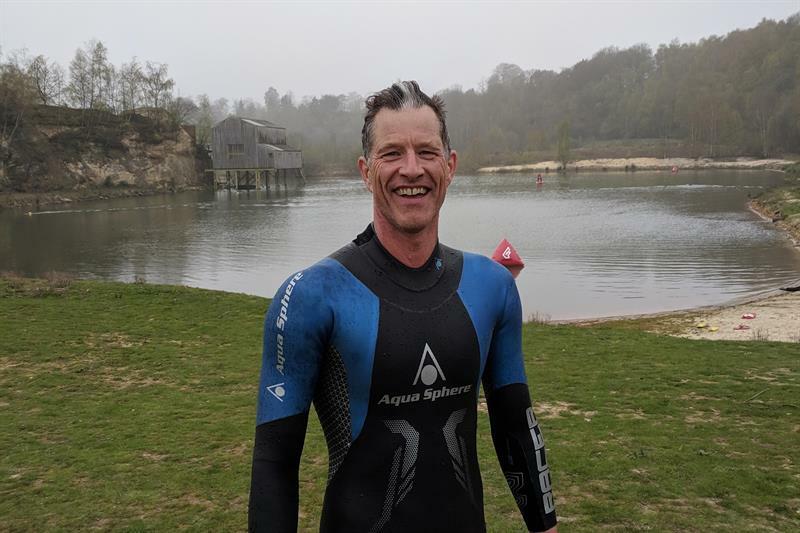 April marked the opening of the SHAC lake and with my Aqua Sphere Racer wetsuit on I can, for the first time in a long time, get some distance under my belt. The first stint got me 200m over the 1km mark well on the way to a race distance. The goals for this year are a triathlon in the French Alpes while Optician is also putting a team of readers together to cycle the Prudential Ride London 100 through a tie up with SeeAbility.The Alpe d’Huez triathlon is a gruelling, but beautiful event, in late July. It starts in the chilly waters of the hydro reservoir of lake Verney ( Lac du Verney) before riding to the climb of the iconic Alpe, atop the Alpe comes the run. Having completed the long course a few years ago I decided to opt for the shorter version with distances of 1.2km, 28km and 6.7km, but don’t be fooled, this is a tough race. The Prudential ride comes along about a week later and snakes its way through the capital on closed roads before returning to finish on the mall in front of Buckingham Palace. If you would like to join an Optician team for the Prudential Ride for SeeAbility contact me on opticianeditor@markallengroup.com.